After years of usage, even the best garage doors may start to wear and act erratically. The more you know about warning signs and what causes trouble, the faster you’ll be resolving issues and scheduling necessary garage door repairs. Here is a guide to being more mindful of your structure. One of the most common problems with garage doors is unresponsiveness to both the remote control and keypad. In other cases, the door responds but doesn’t close all the way, abruptly stopping a few feet or inches above the ground. Neglecting the issue also means leaving a wide enough space for potential burglars to slip under. Sometimes garage doors begin closing, then inexplicably pull back up, similarly weakening security. If any of these problems occur, consult the owner’s manual. If troubleshooting the issue doesn’t resolve it, call a professional for garage door repairs. If your garage door isn’t responsive, track the wire that connects to the motor to the nearest outlet to ensure that it’s plugged in. If the connection looks secure, then investigate whether there has been a short circuit in your house. Are other appliances working? If they’re not, reset the breaker and your door should be functional again. If that’s not the answer, you might be able to fix the problem by reprogramming your remote. When that doesn’t fix the issue, it’s time to call a professional. When a door doesn’t close all the way, there is either a problem with the safety sensors or limit-switch mechanism, which communicates with the motor about when it should power the door and for how long. A specialist will adjust the limit-switch, so the motor’s timing improves, and test the sensors to ensure they’re not picking up false signals. You’ll also need professional assistance when the door yanks back up after you command it to close. They’ll either need to replace the worn-down rollers or adjust the close-force mechanism, which tells the door when it’s reached the ground. Located in Rochester, NY, Felluca Overhead Door has been the region’s most trusted garage door specialist for over a century. The family-owned company is a certified Wayne Dalton™ dealer, offering a premium inventory of overheard doors and openers. Their technicians are highly responsive and meticulous with their repairs, earning the company the Angie’s List’s Super Service Award for three years in a row. 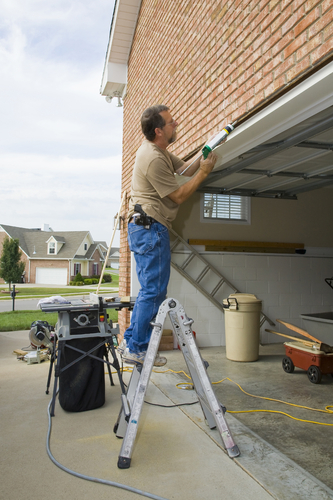 Whether you need garage door repairs or installations, call (585) 467-2391 for prompt assistance. Learn more about their products by visiting the website.